Social media has been instrumental in generating the awareness about the junk food we consume and its ill-effects. 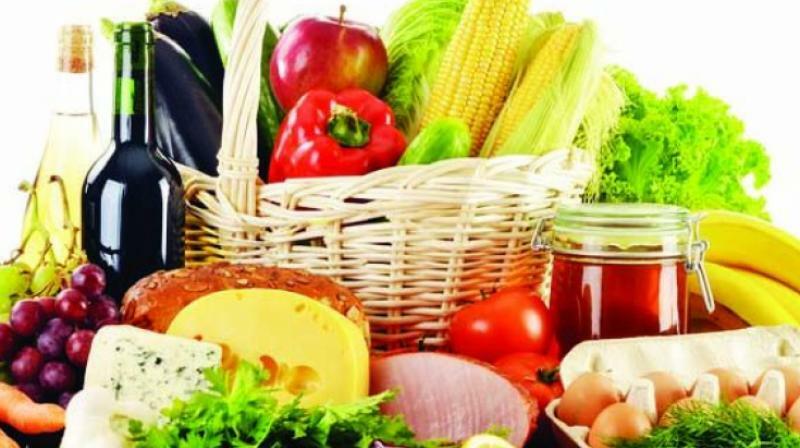 Chennai: With pesticide-laden fruits, vegetables, and adulterated food, health-conscious citizens have turned to organic products to ensure their well-being. A rise in general awareness along with greater international exposure has brought the focus sharply on the growing incidence of lifestyle diseases in urban cities, causing people to become more health conscious. Social media has been instrumental in generating the awareness about the junk food we consume and its ill-effects. This, added to a doctor or dietician's recommendations, has led to a booming organic food industry. Preventive health and food safety are the two most important factors that drive people to opt for organic foods. "The focus has to be on building trust about this movement and the products. The practice of bringing in all unhealthy food products under the organic label will erode the authenticity and genuineness of the organic category," said Suresh Menon, owner of an organic food store in the city. Innumerable stores have come up selling authentic, unadulterated products. Many even grow the products "Organic farming is my husband's passion. He makes fertilizers using vegetable waste at home and only that is used on our products," says Suresh's wife. The need for quality has gone as far as milk products too. A Chennai-based company recently launched farm fresh milk directly from the cow and an app-based doorstep delivery model for the same. The milk, named Happy Tales, can be ordered on the company's app and customers can choose the frequency and place of delivery. Through the app, customers can also indicate details for skipping the milk purchase in case they are away from home or can re-route the milk to a different address during those days. Health consultants, however, say that even if the food is organic, the time it is consumed plays a huge role in extracting its health benefits. "Whether the food is organic or not, if you eat late dinners or skip a meal, however healthy you eat, your body will not respond it," says M Manjunath, a yoga instructor in the city. This demand has also manifested itself in organic restaurants. Several restaurants in the city have mushroomed in the last few years, promising to use only farm-fresh organic produce. "From a small number of customers daily, we now serve at least 20-30 now. There has been a clear increase in awareness," says Mutharasan, owner of Green Cafe, the first organic food restaurant in the city.